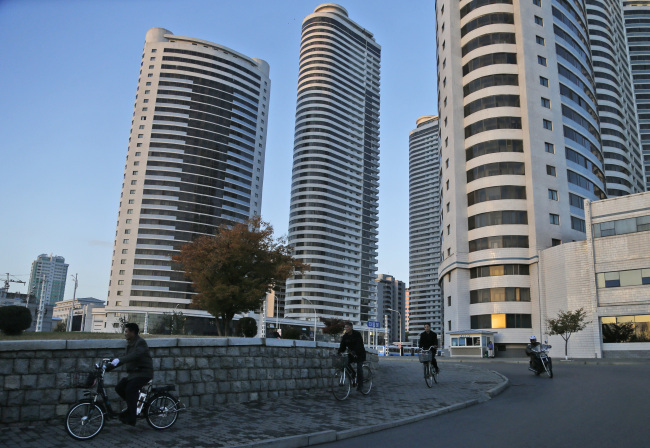 North Korea is exploring a grand plan to become a regional transportation hub, inspired in part by the successes of Singapore and Switzerland, and would be open to joining world financial institutions such as the International Monetary Fund if current member states give up their “hostile” policies toward it, a senior government economist has told The Associated Press. 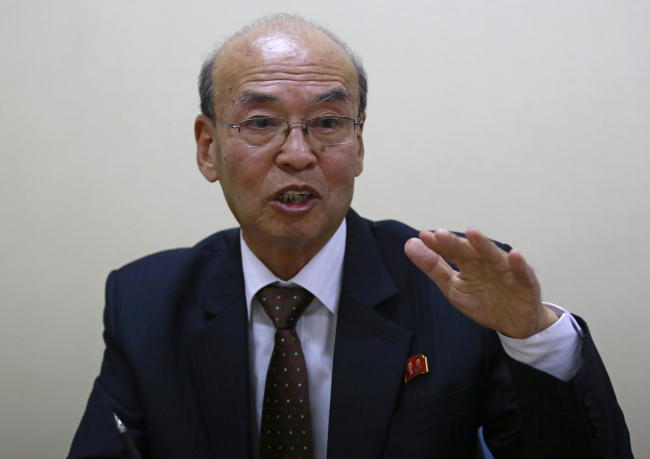 Ri Ki Song, a senior researcher with the Economic Institute of the North's Academy of Social Sciences, said that although sanctions aimed at getting his country to abandon its nuclear and missile programs have increased over the past year, the country's economy has maintained steady growth _ with its GDP increasing from $25 billion in 2013 to $29.6 billion in 2016 and $30.7 billion in 2017. Some outside experts dispute the North's statistics. 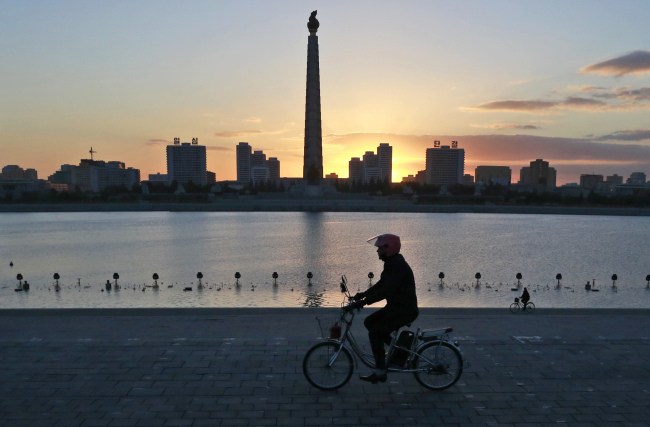 An estimate released in July by South Korea's central bank, for example, had the North's GDP decreasing 3.5 percent in 2017, which would be its biggest contraction since the famine years of the late 1990s. Ri, who spoke with The Associated Press in Pyongyang last week, said the growth reflected how sanctions have resulted in some parts of the economy becoming more efficient and self-reliant. The North has developed a kind of fertilizer that uses domestically produced coal instead of imported oil products, and made improvements in the method of producing steel, he said. He did not mention the flowering of capitalist-style markets, which are still officially somewhat frowned upon but which many observers suspect is a major factor if the economy is indeed growing. Ri expressed optimism about the current climate of detente on the Korean Peninsula and leader Kim Jong Un's summits this year with Chinese President Xi Jinping and President Donald Trump. “We are seeing a lot of changes in the atmosphere surrounding our country,” he said. That idea has been kicking around for years, if not decades. The North already has railroad links with Russia, China and South Korea, and South Korean President Moon Jae-in has publicly supported a plan to re-start cross-border rail operations as soon as possible. Even so, previous attempts to set the transportation hub scheme in motion have repeatedly fallen apart due to political friction or shortfalls in either investment or sustained interest. Before any of this could make much progress, Washington would have to ease up its “maximum pressure” of heavily sanctioning the North and punishing those who trade with it. While praising Kim's diplomatic initiatives, Trump has insisted that sanctions must stay in place until the North makes clear and concrete moves to denuclearize. Joining international financial institutions would open the door to badly needed development funds and economic expertise. South Korea's President Moon indicated recently that Kim has expressed an interest in joining the IMF or World Bank. But doing so would likely require structural reforms and a level of transparency that the North may not want to provide. When asked whether Pyongyang is ready to meet such requirements, Ri said only that the North currently makes its GDP statistics available and declined to comment further. He suggested instead that the ball is in the international institutions' court.